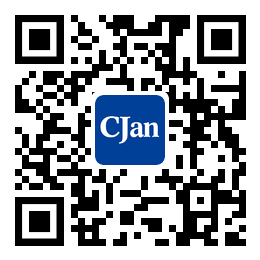 ﻿ Knowledge of Daily Maintenance of PVC tube - CJan Fluid Technology Co., Ltd.
1. PVC tube should be covered with pressure, and the pressure should be kept under pressure, when the hidden layer reaches the allowable strength, the pressure can be removed. 2. Because of the soft texture of PVC tube, its mechanical strength is not high, so physical destruction should be strictly prevented. After the installation is completed, the tube is strictly forbidden to be knocked, touched, smashed and pressed, and protective measures should be covered before concealment. The tube in the pipe well must take some measures to prevent bricks and debris from falling off before sealing off; Because of the composition of PVC pipe, it is easy to ignore the chemical damage, the tube installed in outdoor or direct sunlight channels, should wrap deep color protective layer, to prevent the sunlight from causing chemical damage to the pipeline. 3. During the winter cold, if there is no good heat preservation measures, the water in the PVC tube should be blown clean to prevent the tube from freezing. 4. Be sure to make sure that the logo is completed in case of damage to other works. 1. How much water leakage after the pipe burst, usually has a direct relation with the water pressure in the pipe. Whether the water is dripping or gushing out, the most important thing to do is to immediately close the valve and repair the local property department. 2. Tie up the damaged part of the water pipe with a special adhesive for repairing water hose. 3. It can also be used to repair the cracks in the water hose with glass fiber tape or ring gas resin adhesive. 4. If the water hose bursts seriously, we can use a towel to cover the broken parts of the water hose so that you can prevent the flow of water from sprays, or you can introduce water into a well-placed bucket to avoid huge waste. It can also close the valve of the main water pipe in the household, and completely block the water supply in the house. 5. If the water hose bursts because of the water hose is too old, the plumber should be searched and repaired in time.